As a SOM solution developer, PHYTEC was involved in the Internet of Things development from the very beginning. PHYTEC customers benefit from the off-shelf solutions that offer certifications such as radio licenses, compatibility and series tests. Our products have been deployed in thousands of systems across a wide range of industries and applications. We observe market trends and provide guidance to various standards, opportunities, and protocols. The success of the Internet of Things depends on establishing industry standards that allow for combining data from different manufacturers, devices and industries. PHYTEC focuses on IPV6. This protocol enables theoretical accessibility of actuators worldwide. It is a new evolutionary step in communications between individual users. In order to ensure interoperability of our Internet of Things offering, we always use industry-leading standards and software solutions for our hardware. We keep an eye on market acceptance, manufacturer support and technical details and help you choose the best protocol for your application. PHYTEC also implements the protocols for customer applications. We use open standards such as IEEE 802.15.4, IPV6, COAP and MQTT. The Internet of Things is not an unknown territory for PHYTEC but the natural outcome of our development activities. PHYTEC embedded solutions: modules and off-shelf solutions. Thread is not a new standard, but rather a combination of existing, open source standards such as IEEE and IETF that define a uniform, interoperable wireless network stack enabling communication between devices of different manufacturers. 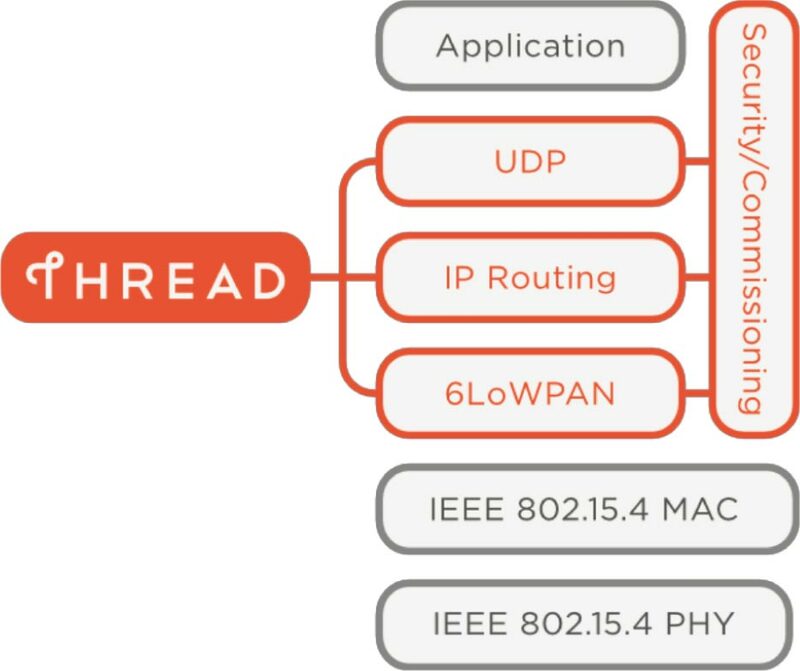 Thread uses IPv6 protocol as well the energy efficient wireless IEEE 802.15.4 PHY/MAC standard. Use of the IPv6 standard allows components in a Thread network to be easily connected to existing IT infrastructure. The Thread network layer combines physical as well as transport layers. UDP serves as the transport layer, on which various application layers such as COAP or MQTT-SN can be used. UPD also supports proprietary layers such as Nest Weave. Layers that are used for most applications, and that service network infrastructure, are defined uniformly via Thread. Application layers are implemented depending on end user requirements. Two security mechanisms are used within Thread network layers: MAC layer encryption and Datagram Transport Layer Security (DTLS). MAC Layer encryption encodes call content above the PHY/MAC layers. DTLS is implemented in conjunction with the UDP protocol and encrypts application data, but not packet data from the lower layers (IPv6). Thread also enables mesh network topologies. 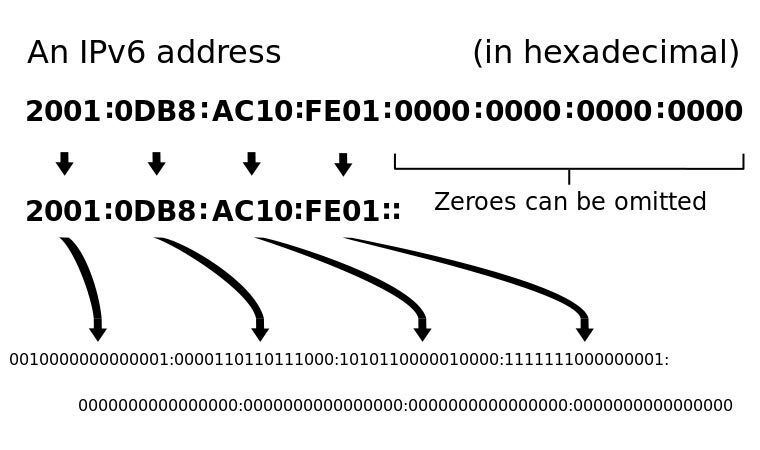 Routing algorithms ensure that messages within a network reach the target node using the IPv6 addressing. When a single nodes fail, Thread changes the network topology in order to preserve network integrity. Thread also supports in parallel multiple Ethernet or wireless networks established via Border Routers. This ensures reliability through network redundancy. 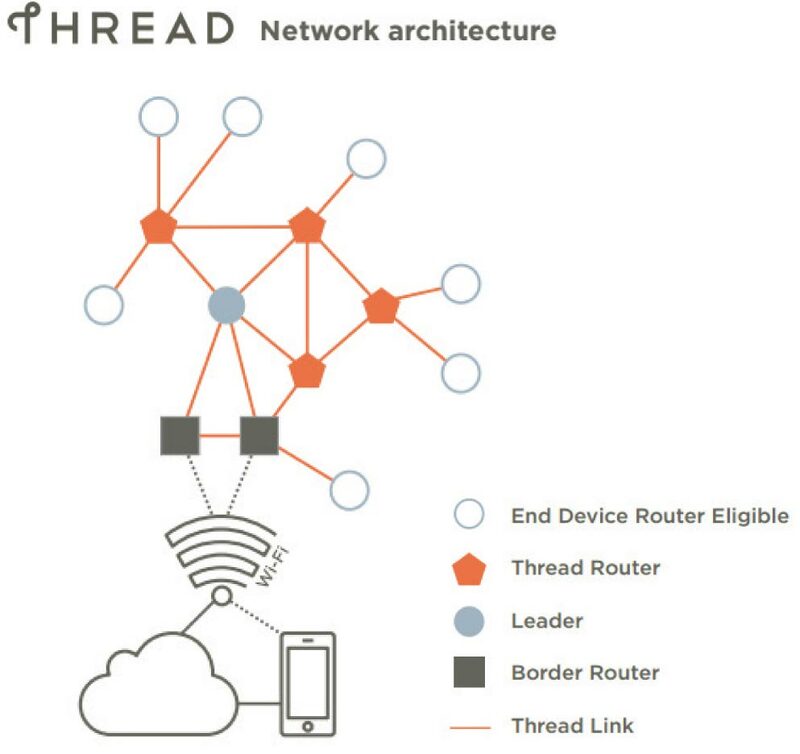 Thread is ideal for home automation due to its mesh network topology and support of inexpensive nodes. The following image shows a possible setup of such topology. Rectangular boxes represent Border Routers such as phyGATE-AM335 (alternately phyGATE-i.MX7, phyGATE-K64) or the phySTICK. The two Border Routers in the image establish the connection to the IT infrastructure via Ethernet or WiFi. The pentagon icons represent nodes, such as phyWAVEs and phyNODEs, that are addressable and can relay messages within the Thread mesh network. Nodes depicted by circles, which can be phyWAVEs and phyNODEs, are nodes that can be configured for low power and to operate for an extensive time using a single battery.